From 1944 to 1946 the periodical Arya—issued in Pondicherry in a limited number of copies and impossible to find anywhere today—published a series of essays by Sri Aurobindo on the secret of the Vedas. These essays have been republished in volume form with the same title, Le secret du Veda (Paris: Cahiers du Sud, 1954). These essays are an attempt to shed light on the inner content of the subject of the Vedas, starting from the idea that they contain myths susceptible of spiritual interpretation. It is evident that Aurobindo’s principal aim is to contest the materialistic interpretation prevailing among many Oriental scholars at the time he wrote. According to a well-known formula, the Vedas deal above all with the superstitious projection of a divine character on the phenomena and forces of nature, with the prayers of the Indian conquerors in order to secure power, wealth, and prosperity, as well as with mythologized reflections of the struggles of the Aryans against the native peoples of the territories into which they had penetrated. 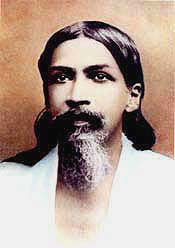 Against this formula, which is now no longer so widely accepted, Aurobindo had an easy task. Every myth and, we may say, every traditional structure of origins, is by its very nature many-sided, so much so that it always also admits, potentially or in actual fact, of a spiritual interpretation. Aurobindo’s intention is to contest the existence of a veritable hiatus between the “naturalistic” Vedic phase of the Hindu tradition and its subsequent philosophical and metaphysical phase, which took definite shape above all in the Upanishads. His interpretation, from many points of view acute and felicitously presented, of certain typical episodes and of some of the Vedic hymns, show us how under the mythical garb that secret doctrine of spiritual enlightenment and of the higher nature of the Ego, which was to constitute the central doctrine of the Upanishads, was already contained in the Vedas. Nevertheless our impression is that, in part, Aurobindo has fallen from one excess into another. While the naturalistic school only saw the outer and coarser aspects of the Vedas, Aurobindo insists perhaps too much on their inner aspect, as though the rest were but a contingent form, thus ending on a too unilaterally spiritualistic plane. In our opinion, when the traditions regarding origins, including the Vedas, are examined, we should adopt a more comprehensive point of view; that is to say, we should consider that the cosmic and the spiritual side are closely connected, inasmuch as, according to the felicitous formula of Mircea Eliade, for man at the time of origins “nature was never natural,” and in the actual material representations and vicissitudes a superior and inner meaning was secured, sometimes more instinctively as a foreboding, sometimes more consciously, especially by an elite. But this should not lead us to ignore the “cosmic” aspect through a purely “psychological” interpretation. Another point in which we cannot altogether follow Aurobindo is his tendency to attenuate the antithesis between the spiritual heritage of the Aryans and that of the aboriginal civilizations of pre-Aryan India. On the other hand a very important chapter is the fifth, because it gives us the key for a new line of research. It sketches out some systematic principles in the field of philology. Here too it is a question of many meanings. There are original verbal expressions, with reference above all to the roots of words, indicating, so to speak, a “trend” or an “elementary structure,” which, according to circumstances, is susceptible of being translated into meanings belonging to very different planes, material and spiritual. This gives rise, by adaptation and specification, to expressions which, objectively, on account of these differences of plane, may appear to have no connection, whereas they are associated by intimate analogies. An instance given by Aurobindo is aswa, the usual meaning of which is horse but that is also used as a symbol of prana, the life force. Its root may also suggest, among other things, the notions of impulse, power, possession, and enjoyment. These different ideas are associated in the figure of the charger in order to describe the characteristic features or prana. The importance, from a systematic and epistemological point of view, of recognizing this state of affairs is obvious. Aurobindo ascertained it in connection with the analysis of certain Vedic expressions; but an extension of this principle, if worked out by qualified scholars, cannot fail to open up new and interesting horizons for the science of religion in general. East and West, vol. 6, no. 2, July 1955, p. 167. Published: November 24, 2010 | This entry was posted in North American New Right and tagged book reviews, hermeneutics, Julius Evola, North American New Right, reprints, Sri Aurobindo, the Vedas, Traditionalism, translations. Both comments and trackbacks are currently closed.